These tasty wholegrain organic corn balls will keep you full until lunchtime because they are a great source f fibre and protein. 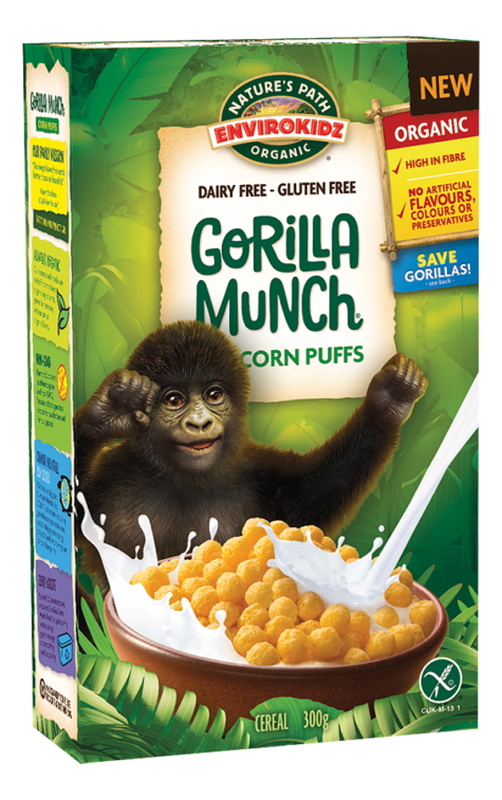 The whole family can enjoy this gluten free wholegrain cereal, and for every box purchased, 1% will be donated to the Dian Fossey Fund to help protect gorillas. Wholegrain corn meal*, corn meal*, raw cane sugar*, sea salt. May contain traces of peanuts, tree nuts and soy. The Natures Path Organic Gorilla Munch Cereal - 300g product ethics are indicated below. To learn more about these product ethics and to see related products, follow the links below. Items received intact with prompt delivery. Can recommend this service. 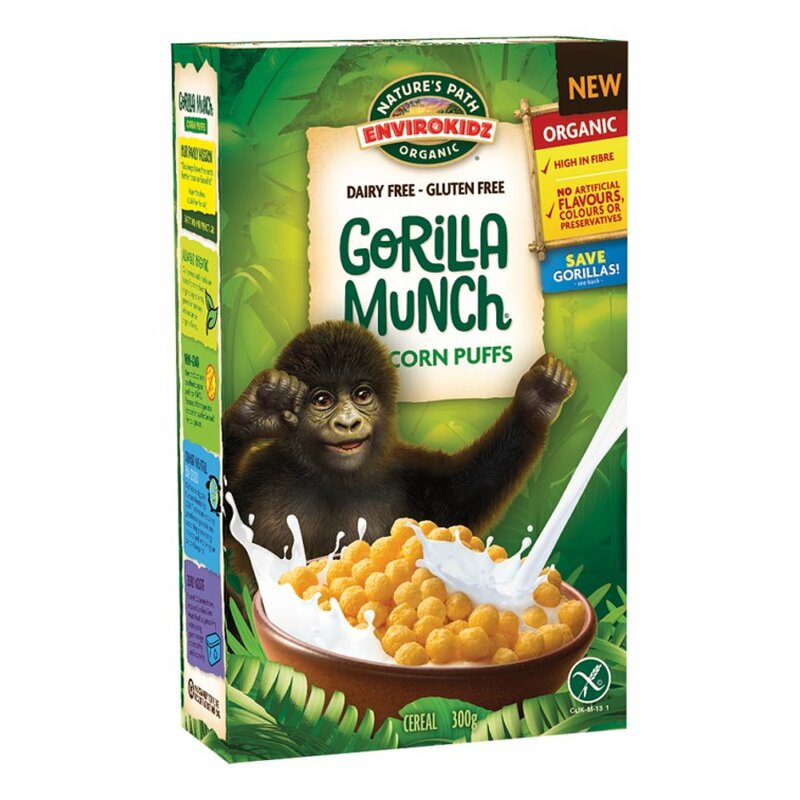 There are currently no questions to display about Natures Path Organic Gorilla Munch Cereal - 300g. Nature's Path are an organic cereals company, producing healthy breakfast cereals that are wheat-free, gluten-free, and made from delicious, wholesome ingredients, grown and processed in harmony with nature. A family business, Nature's Path aim to provide every home with quality, organic foods and to highlight the importance of a good, hearty, healthy breakfast to start your day.